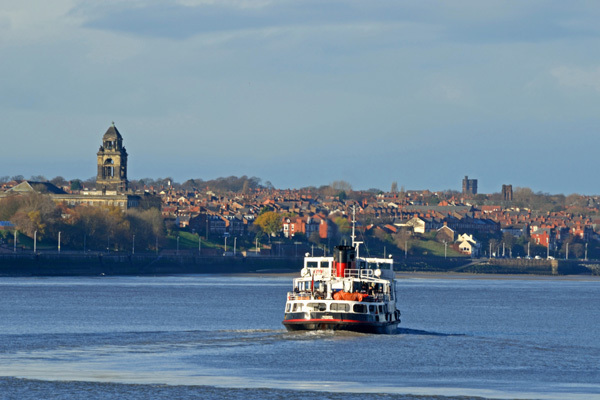 I'm sure there are many great walks around this historic city and seaport but the one that I believe is the best short walk in Liverpool actually starts with a ferry ride across the mighty River Mersey from Pier Head to Seacombe on the Wirral Shore. From there it's just a 3.5-mile (5.5 Kilometer) stroll to New Brighton via a succession of scenic and historic riverside promenades dating back to the 1890's. Probably the first thing you'll notice departing the Seacombe ferry terminal is a towering box-like structure that is the Kingsway Tunnel ventilation tower, extracting fumes from the A59 road tunnel which runs beneath the river and connects Liverpool with Wallasey. 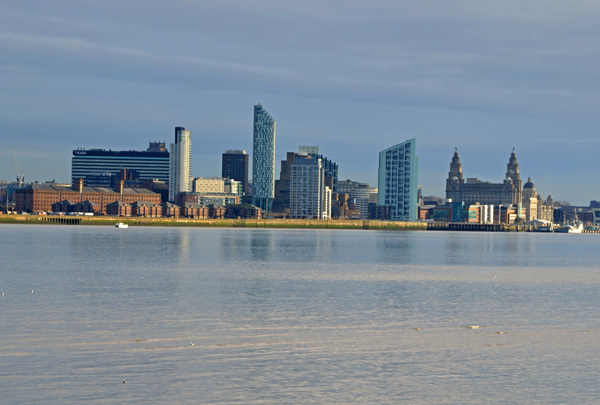 Passing the tower, look back over your right shoulder and you'll get a great view of the impressive Liverpool skyline from the twin peaks of the Liver Building, past the imposing modern glass towers of the city centre to centuries old warehouses and the docks. Seacombe Promenade heads north, past the former Wallasey Town Hall to the site of the old Egremont Ferry landing. Built in 1827 it was the longest pier on Merseyside until struck by a coastal steamer and so badly damaged that it had to be dismantled in 1946. 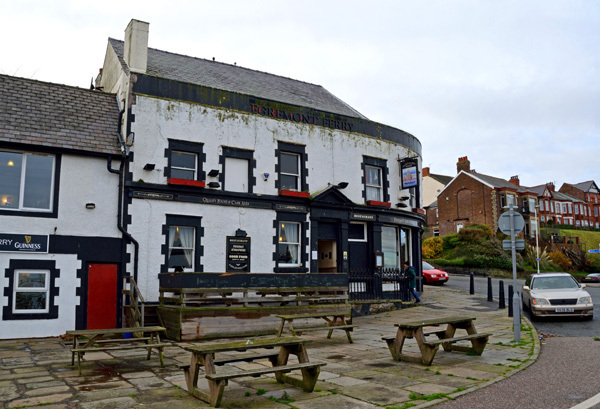 Now on the Egremont Promenade you'll pass elegant houses and the site of the long gone Mother Redcaps pub, a haven for sailors since 1595. But fear not, if it's a pint you're after a short detour from the promenade will take you to the historic Magazine Hotel and, eventually, back to the river. From the riverbank turn left into Pengwern Terrace and you'll find the pub at the top of the hill. Dating back to 1759 the Magazine Hotel is one of the oldest pubs on the Wirral, supporting local brewers and serving customers in its unique and charming olde-worlde environment. On a good day it's a great spot to sit outdoors and enjoy the outlook over the river. Leave the pub, turn right into Magazine Brow and you'll find the remains of the old gunpowder Magazine set among some charming period cottages and, just beyond it, the picturesque Vale Park which you can cut through and return to the river promenade. From here it's just a very pleasant, short stroll to New Brighton. The seaside resort of New Brighton was once home to a tower modeled on the famous Eiffel Tower and which, when opened in 1900, stood just under 600 feet high and rivaled the famous Blackpool Tower. An entry fee of one shilling gave visitors access to the tower, the nearby gardens, a ballroom and theatre. New Brighton's tower was dismantled in 1921 when it was deemed unsafe due to lack of maintenance. Although the tower is long gone two standout landmarks remain, Fort Perch Rock and the New Brighton Lighthouse. 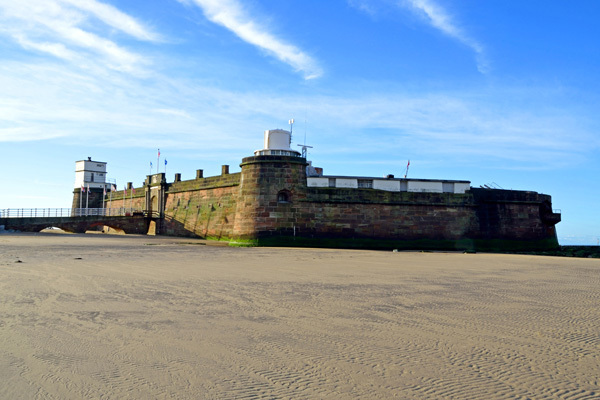 Originally designed as a fortified Lighthouse Fort Perch Rock was built in 1825 to defend the Port Of Liverpool. In its day it was very heavily armed and was known as the 'Little Gibralter of the Mersey'. Today it's a tourist attraction, museum and function center. 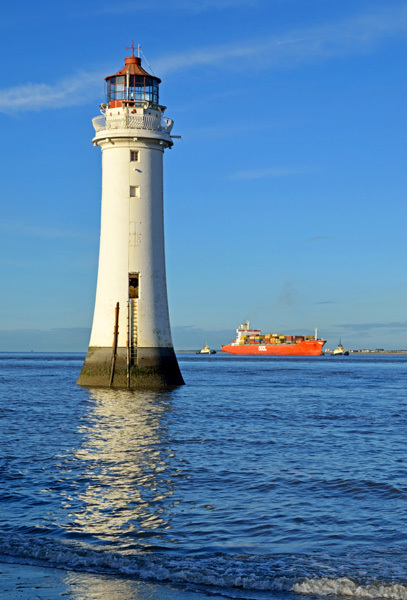 Construction of the New Brighton Lighthouse, also known as Perch Rock Lighthouse, commenced in 1827. It was completed and became operational in 1830. An imposing granite structure it replaced the original wooden 'perch' with a light on top which had stood on the site since 1683. The 'perch' was frequently washed away, recovered by ship and set in place again. To maintain the light each foreign ship passing it was charged a tax of sixpence. Finally, in 1821, a Liverpool Pilot Boat struck the 'perch', destroying it and forcing authorities to plan for a new Lighthouse. 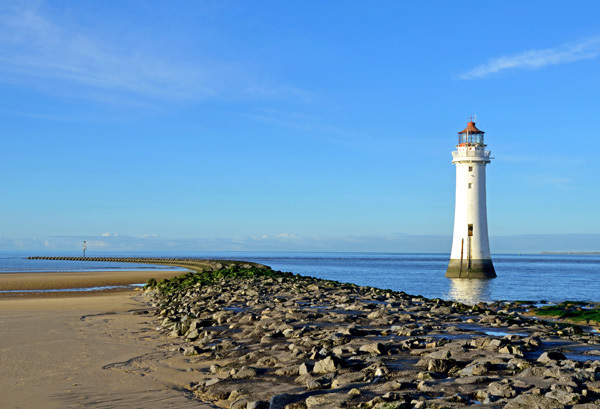 New Brighton's new Lighthouse was closed in 1973. Purchased by a local resident for £100, it was partially restored and rented out as holiday accommodation. Today New Brighton has a large range of visitor attractions, including the Marine Point Leisure & Retail development, and all adjacent to some lovely beaches. It may not be the resort town of old but New Brighton and all the points of interest along the promenade, reputedly Britain's longest, certainly make the walk from Seacombe worthwhile. 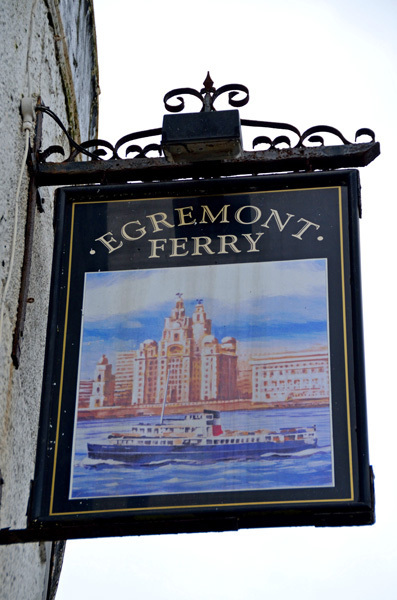 At the end of the day the 411 bus from New Brighton to Birkenhead will get you back to Seacombe Ferry Terminal. Why? 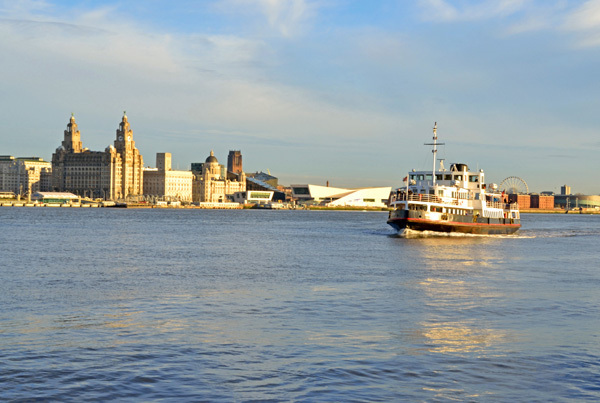 Enjoy a fabulous short walk and uncover teh remnants of centuries of Merseyside and Wirral history. When: Any fine day is a great time to walk the New Brighton Promenade. My husband is from Wirral and this article brings back so many memories of walking around eating fish and chips here! Great article.